With so many SEO firms in Idaho and elsewhere who have given search engine optimization a bad name, it's understandable that you might be skeptical of the whole concept. That said, the evidence shows there ARE businesses who are ranking at the top of the search engines and for good reason. The reason is the business is giving Google what they want--a great website (authority) that looks good on all devices (mobile responsive) and provides valuable content (information, videos, images) to searchers. Good, solid, white hat SEO is not rocket science, but it is a pretty specific formula. The particulars of which are ever-changing and evolving as Google, Bing, Yahoo and other search engines continually refine their ranking algorithms. Bad SEO is like any other form of cheating; you may not get caught right away, but inevitably you WILL GET CAUGHT. And when Google punishes a site for bad SEO tactics it can be devastating to a business. It's simply not worth it. So, how can you tell the good SEO guys from the bad ones? Simple. Take a look at the client websites in an SEO firm's portfolio and then Google some of them. Pretend like you are searching for whatever it is the client sells or provides, try a couple of searches--if they don't show up on the first page (or second or third)--DON'T HIRE THAT COMPANY! If they do, great! But there is more you can do to make sure they didn't just get lucky with a low competition niche. Does the client serve customers at a location? Is their business location found on the Google Map listings? Does it include a link to their site and some images? Business hours? Phone number? How about their social media presence? Do they have a Facebook page? A Google Plus? A YouTube channel? Can you find their business on other online directories? All of these things contribute to the authority of a website and the subsequent ranking. Now that you know how to determine a good SEO firm from a [ahem] not-so-good one, it's time to decide who you want to trust with this critical part of your business. 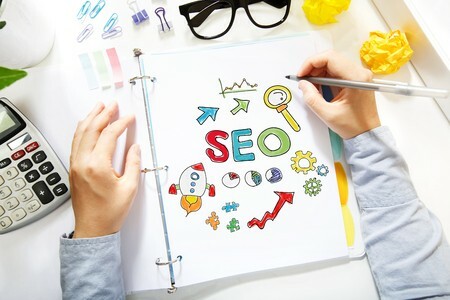 Do you want a dedicated SEO expert in charge of your website's ranking? Do you want someone with a proven track record of ranking websites #1 for local, national and worldwide audiences? Do you want someone who's goal is to DOMINATE the first page of Google with your links? If your answer to any or all of these questions was YES--we need to talk. Call me now: 208-557-9375 and together we'll dominate your competition! Contact me for a free no-hassle, no-obligation consultation about your business. Business name, site requirements, design requests, etc.? Ask about our Website Rental Program. ​No contracts. All the benefits of owning a website, none of the hassle! Copyright ©2018 Right-Sites, LLC / IdahoFallsWeb.com. All Rights Reserved.